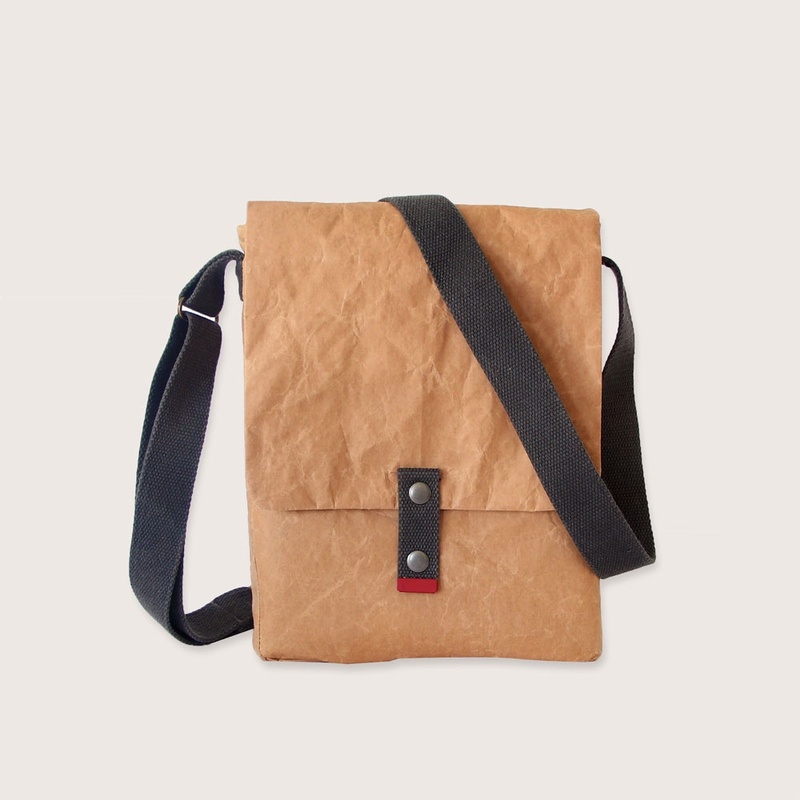 A sling bag that is environmentally friendly, great looking, durable and practical! 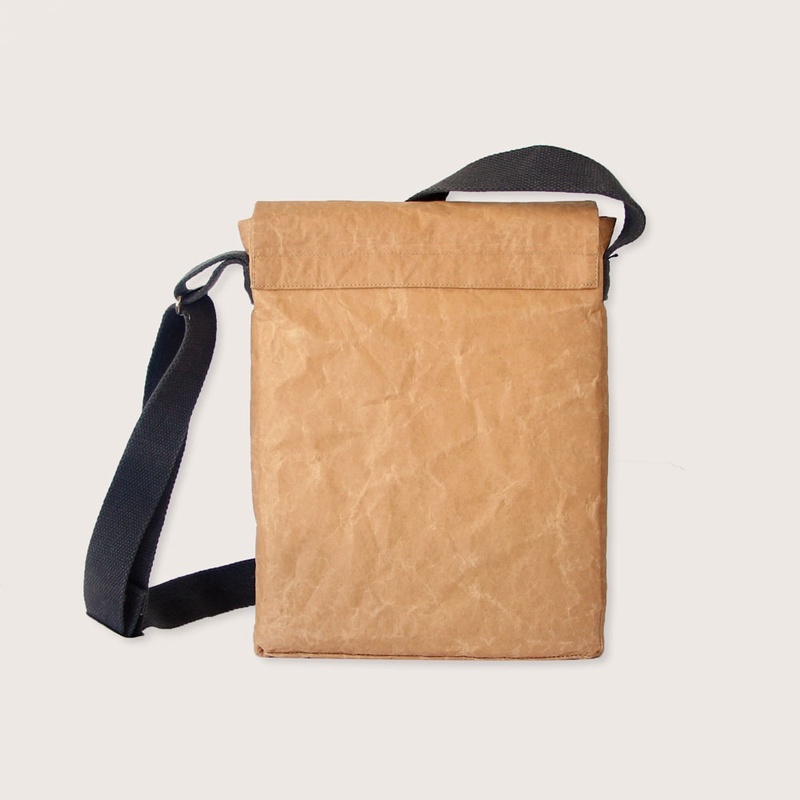 This bag is made from recycled paper coated to be water resistant. With charcoal cotton webbing straps and detailing. So how do we make them? 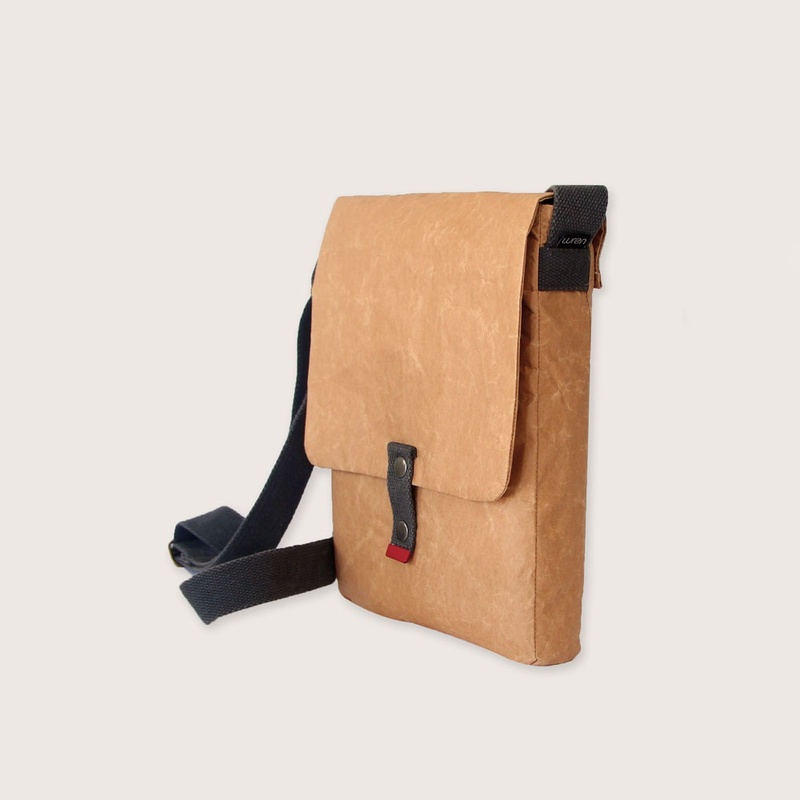 This sling bag is made using recycled cement paper, to start. The paper is fused to fabric to make it strong. This means we can stitch it and the durability is not compromised. Once made up, we spray it with Nano Liquid Glass which is environmentally friendly. This coating makes the bag water resistant because it doesn’t make sense if you cannot use it outside! Inside the bag there is a single pocket. We have kept it simple because we know that your life is not and lots of pockets just get in the way! The bag is also padded at the bottom to protect your laptop or tablet and closes securely with a press stud. Choice of red or grey strap tip ends.